Global migration is growing at an unprecedented rate and consequently remittance flows are increasing as diaspora support families back home. In Sub – Sahara Africa less than 20% of the population has Bank Accounts! Total remittance flows have reached over $50bn a year. A recent survey by World Bank concluded that Africa’s financial services sector is projected to grow 40% by 2020. Africa has surpassed Europe in the number of mobile phones and the USA in the number of cell phone users. With 40.5% of its GDP in the informal sector, Africa has the highest rate of the shadow economy, according to the World Bank. By comparison, the figure is 16% for countries in the Organisation for Economic Co-operation and Development (OECD). “Payments provided via an account can provide the on-ramp to financial inclusion,” maintains the World Bank. Mobile Money, led by M-PESA has shown a new pathway to bring financial inclusion a step closer. However, cash is still king and whilst mobile money has brought a level of convenience, it is pre-dominantly used as a means to ‘deposit – send – withdraw’ money from one part of a country to another. Financial Institutions have a key role to play to extend their mobile payment apps to support transfers to the unbanked. India has shown the way. Their digital revolution has been fueled by a regulatory environment, demonetization and a willing framework that ensured both banks and mobile payment operators work within a unified payment network that supports seamless banking access to both the banked and unbanked segment. In the case of countries like Zimbabwe, mobile money is experiencing a massive explosion where the informal sector represents over 60% of the economy (second highest in the world). The shortage of cash liquidity has forced digital mobile money to become the norm. But, whilst convenient it comes at a high cost. FinTech evolution that extend beyond just simple person to person transfers are the key enablers to driving trusted financial inclusion. It is targeted innovation and investment in FinTech that converge bank accounts, mobile money, electronic bill pay, prepaid card services linked to biometric ID verification and diaspora remittances into a seamless service that will bring convenient, affordable transaction payment services and financial inclusion to deliver true cashless banking services for all. This paradigm shift will fuel growth in new segments of rural and national development – e.g. agriculture and sustainable community commerce. Diaspora form the key change agents to drive demand for new ways to support family at home. Financial Institutions have been developing financial products and services aimed at Diaspora to benefit families at home – insurance and bill payments. What’s needed in the diaspora finance market is improved convenience, greater control and lower costs, particularly in remittances where value in each of those three areas – and especially to Africa – is lacking. Markets like Zimbabwe, where cash shortage is driving new innovation in payment services, offers a ‘perfect storm’ to truly deliver new digital methods that make day to day cashless ‘banking’ a reality. 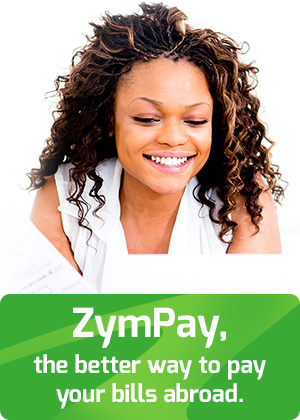 We at ZymPay have begun to develop and deliver new innovative payment services that empowers Diaspora to support their family in all their needs at home in real time for various services – remittance, bill pay, education, healthcare, insurance and mortgage payments. Convergence of such services into the local ecosystem will bring a cashless economy a step closer to reality! 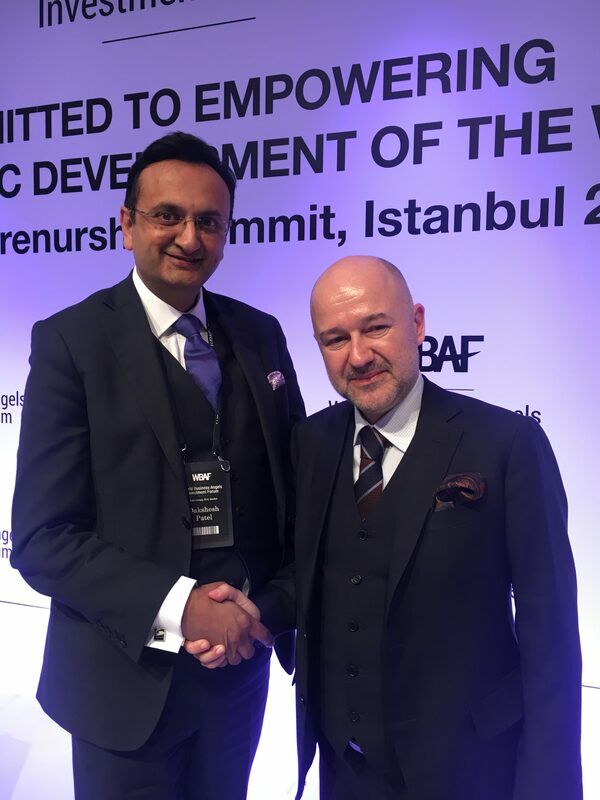 At the recently held World Business Angels Investment Forum 2018, in Istanbul, Dakshesh Patel was a speaker on the panel on cashless banking and financial inclusion in Zimbabwe. The forum hosted more than 1000 delegates from all over the world at the biggest annual gathering of the worlds early stage equity and investment markets. Praise for the forum and ZymPay’s efforts were given by many including International Finance Corporate leader Kaiser Naseem. Thought leader at with IBM Watson, Paolo Sironi has encouraging words of praise for the WBAF and the speakers. This is what he had to say “This year World Business Angels Investment Forum was one of the best, top notch gathering of entrepreneurial minds and passionate investors. The leitmotiv was the usage of technology to foster financial #inclusion, and the role of business angels to create a more varied and dynamic ecosystem for entrepreneurs.” He also picked Dakshesh Patel as one of the speakers who enriched the FinTech Summit, among the many key speakers. PreviousPrevious post:Zympay takes ‘Back to school’ forward with digital innovationNextNext post:Does distance get in the way of managing your family’s healthcare needs in India?